Advancements in research, screening and treatment have improved survival rates over the past 30 years, but breast cancer remains a life-altering disease with serious physical and emotional effects. Cancer can start in different parts of the breast. The most common areas are the milk ducts (ductal carcinoma) or the lobules, the milk-producing glands (lobular carcinoma). A person’s prognosis (health outcome) depends on factors such as the cancer’s size and type. Age is also a factor – women under 35 are at greater risk of recurrence and tend to have more aggressive, higher-grade cancer than post-menopausal women. Possible risk factors include physical inactivity, adult weight gain, higher weight at birth, smoking (including exposure to second-hand smoke) and working night shifts (which affects the amount of melatonin in the body). Age 40 to 49: Talk to your doctor about your risk of breast cancer, along with the benefits and risks of mammography. Age 50 to 74: Have a mammogram every two to three years. 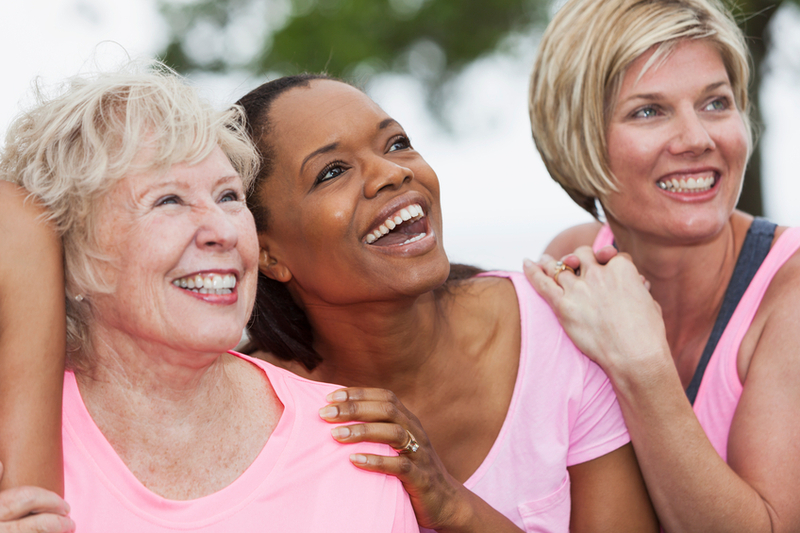 Age 74 or older: Talk to your doctor about how often you should have a mammogram. These signs and symptoms don’t necessarily indicate cancer, but it’s best to consult your doctor. Early cancer detection increases the success of treatment. Lump in the breast that doesn’t shrink or disappear during your menstrual cycle. It might feel like it’s attached to the skin or chest wall. The lump may be hard or tender. Late signs and symptoms that may indicate that cancer has spread include nausea, bone pain, loss of appetite, jaundice, weight loss, headache, double vision and muscle weakness. If you experience unusual symptoms, see your doctor. Tests for breast cancer diagnosis and staging (determining whether the cancer has spread) include physical examination, mammography, ultrasound and other imaging tests. A breast biopsy, in which a small amount of tissue is removed and checked for cancerous cells, is the only definite way to diagnose cancer. Additional tests (such as blood tests, lymph node biopsy, bone scans and chest X-rays) help determine the cancer’s stage. People who have cancer are treated by an oncologist, a physician who specializes in cancer. The treatment plan depends on the type of breast cancer, its stage (tumour size, and whether it has spread) and its grade (how the cells look and behave – for example, how quickly the tumour is growing). Oncologists also consider a woman’s age, overall health and personal decisions about treatment. Treatment plans also depend on the cancer’s hormone receptor status (whether the female hormones estrogen and progesterone can attach to its cells; this helps determine whether or not to use hormonal therapy), and the cancer’s HER2 status (HER2 is a gene that can influence a tumour’s growth; HER2-positive cancers are more aggressive). Treatment may include surgery, radiation therapy, hormone therapy, chemotherapy, hormonal therapy or biological therapy. After treatment, people continue regular medical check-ups and cancer screening. A wellness plan, developed with health professionals, can help people regain strength, cope with stress and side effects, and lower their risk of cancer recurrence. Meeting others who have experienced cancer can be tremendously helpful. To find peer and family support groups, contact your local Canadian Cancer Society office or join the organization’s online community, CancerConnection.ca. Professional counselling can also help people cope.